This award-winning, upscale, family-friendly town balances a unique country atmosphere with plentiful economic opportunity. Equidistant between Dallas and Fort Worth and just five miles from Dallas Fort Worth International Airport, Flower Mound is consistently ranked among the best towns in DFW. 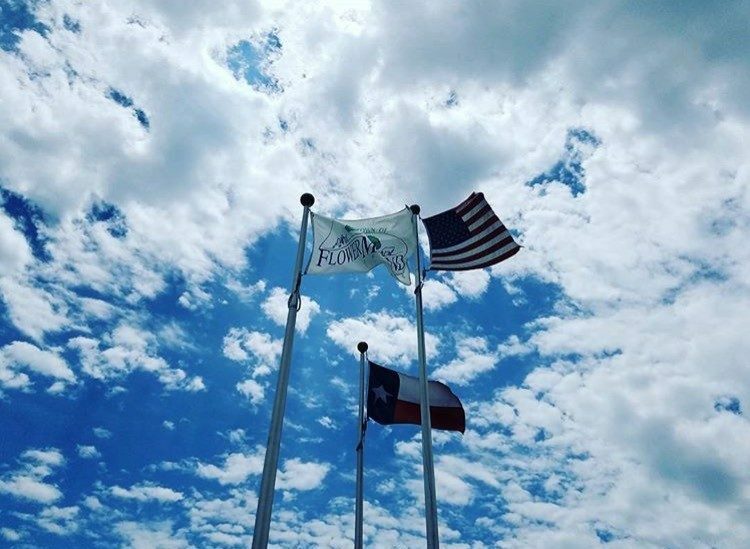 The Town of Flower Mound operates 54 beautiful public parks and is nestled between Lake Grapevine and Lewisville Lake, offering residents access to an abundance of fun-filled activities such as boating, fishing, swimming and hiking. Golfers can perfect their game at nearby courses such as Tour 18, Bridlewood Golf Club, Grapevine Golf Course and Lantana Golf Club. Residents needing retail therapy frequent nearby Grapevine Mills mall and the Shops at Highland Village, and life in the fast lane can be found at the nearby Texas Motor Speedway. 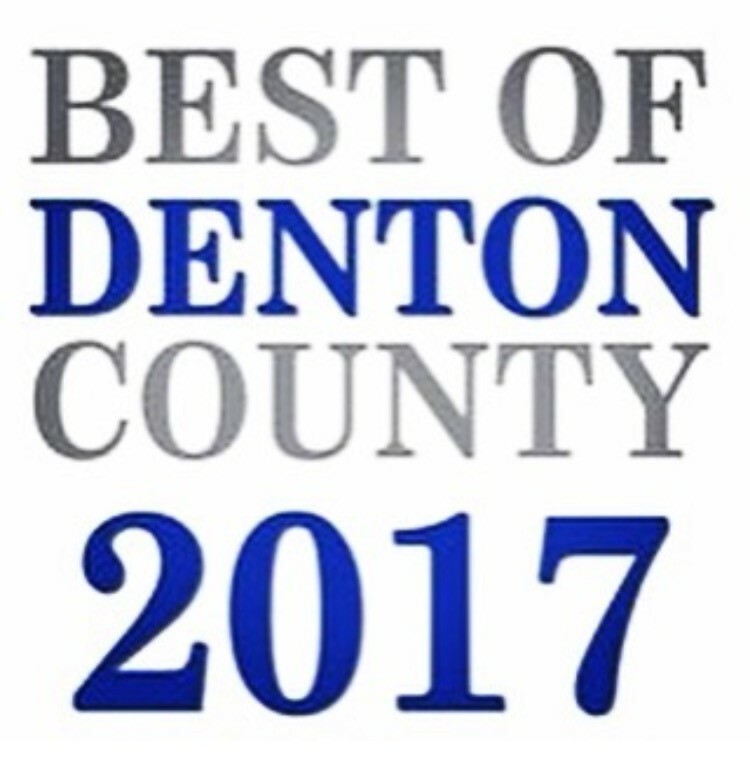 Flower Mound’s strategic central location, low tax rate, excellent school system and unsurpassed quality of life continue to garner national recognition and highlight the community as one of the best places in North Texas to live, work and play. Lakeside DFW: Lakeside DFW is a $1 billion, 150-acre, Mediterranean-style mixed-use development overlooking Lake Grapevine in southern Flower Mound. Lakeside DFW is designed to provide a mix of retailers, restaurants offering stunning views from friendly patios and resident balconies, offices, and residential opportunities linked by trails, parks and open spaces. River Walk at Central Park: The River Walk at Central Park is a 158-acre mixed-use development that integrates commercial, office, retail, dining, medical and residential uses in a variety of building types. Anchored by Texas Health Presbyterian Hospital Flower Mound and easily accessible from any part of the DFW Metroplex, The River Walk will offer walkable shopping, dining, art, entertainment and the town’s first hotel along a majestic flowing river. More than 85% of the adult population in Flower Mound has had post-secondary education, offering employers some of the highest skilled workers in the North Texas area. Top Flower Mound employers include Communication Test Design, Inc., Lewisville ISD and Texas Health Presbyterian Hospital Flower Mound. Key Flower Mound occupational categories include Management & Professional, Service and Sales & Office. Annual Christmas Parade and Tree Lighting Ceremony: A night-time parade with lighted floats and a tree lighting ceremony. Ceremony includes choir performances, pictures with Santa Claus, carriage rides, kids’ activities, and much more! Independence Fest: Featuring an annual Children’s Parade, live performances, vintage car show, free kid’s zone and concluding with a fantastic fireworks finale. Splashtacular: All ages are invited to join staff at the Community Activity Center to celebrate Memorial Day, Independence Day, and Labor Day for free at the CAC Outdoor Waterpark. Friday Movie Madness: Bring your family, friends, and floats to the Community Activity Center to enjoy Friday Movie Madness, June – August, in the indoor pool! FloMo Father Son Basketball Tourney: Dads and their sons are invited to hoop it up at this 2-on-2 tournament in June. Back to School Bash: Students will enjoy a night at the CAC Outdoor Waterpark with entertainment, free food, games, and prizes. Flower Mound Youth Action Council: Consists of members between the ages of 14 and 19 and serves as an advisory group to the Town Council, Parks, Arts, and Library Services Board, Executive Team, and the Recreation & Leisure Services Division regarding issues that affect youth through problem solving, education, social activities and service projects. Healthy Habits Cooking Class: This free series in July at the Flower Mound Public Library teaches families basic techniques for easier meal prep, tips for making healthy food taste great, in addition to suggestions for healthy eating on a budget. Community Activity Center: Whether you are looking to get in shape, learn a new skill, swim, or relax by the pool at our Outdoor Waterpark, the CAC has something for everyone. 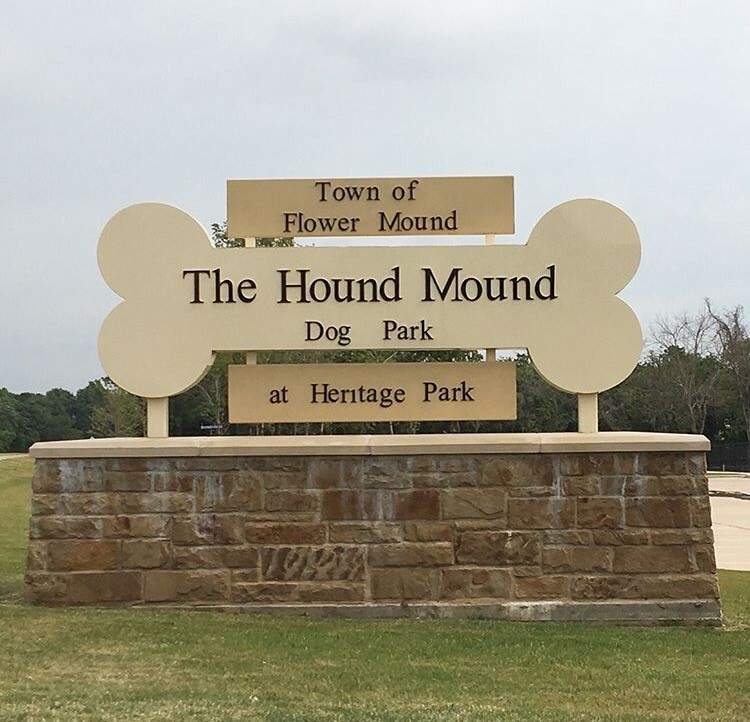 Hound Mound Dog Park: The Town’s first, 5-acre dog park, with separate areas for small and large dogs. 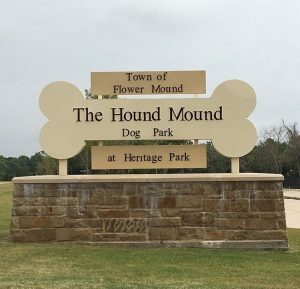 With amenities including natural shade, hybrid Bermuda turf, seating areas with water fountains, landscaping and 40 parking spaces, this park is the perfect place for pups. Flower Mound Public Library: Provides residents with an abundance of resources, programs and contributes to quality of life in Flower Mound by stimulating imagination, celebrating diversity and encouraging creativity. Verf’s Grill & Tavern: At Verf’s Grill & Tavern we take pride in the fact that all components and sauces are created in our kitchen. We await your next visit where we are sure to have created new dishes to keep you returning to our independent, family-owned restaurant. Enzo’s NY Pizzeria: Taste real Italian fare crafted from family recipes made fresh every day – watch us toss our pizza dough – we are authentic and fresh. 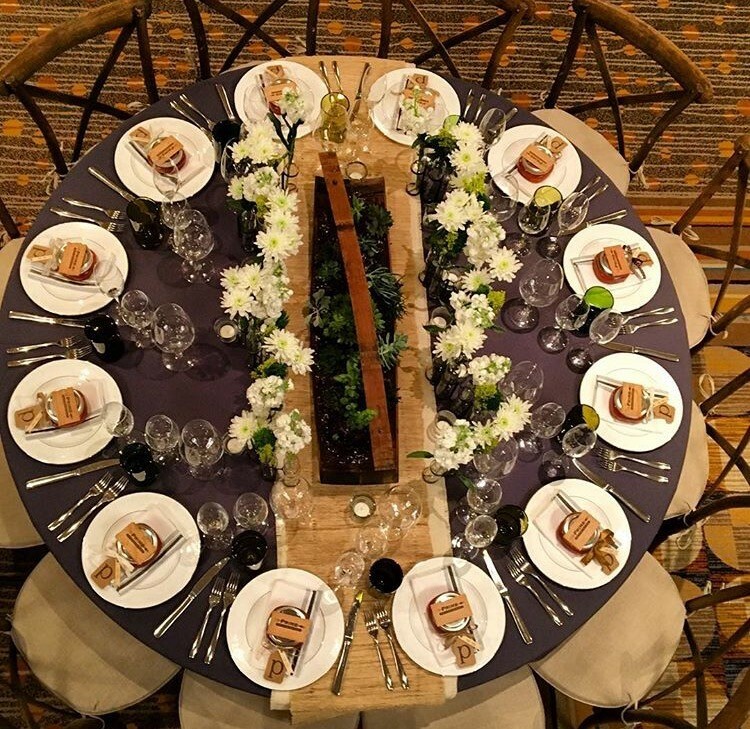 The Table: We offer a modern American cuisine with global influences in a refined yet rustic industrial setting. In-house, quality ingredients sourced locally and rotated seasonally are hallmarks of the concept. Urbano Enchilada Taco Bar: This local Taco Bar is known for its industrial-styled eatery, specializing in craft tacos and enchiladas, offering a full bar with an array of margaritas. Prime Farm to Table: Fresh. Passionate. Memorable. 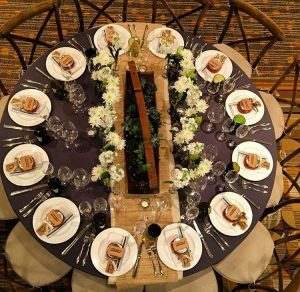 Creating a menu of the best that our local farmers produce, prepared with passion and served with respect in this upscale, local restaurant. Carvao Prime Brazilian Steakhouse: Carvao is a modern and unique style of Brazilian Steak House. The owner, born in the south of Brazil, has taken all the traditions of Brazilian Churrascarias and combined it into a trendsetting dining experience. Mio Nonno Trattoria: Central and Southern Italian fare including wood-fired pizza, large open bar, and covered patio overlooking the plaza make Mio Nonno a magnet for those looking for great food and a place to gather with friends and family. Yellow Rose Steak & Chop House: We curate fine quality ingredients for each dish and drink. Whether here for a special occasion, a quiet date, or just a nice meal, there’s no rush. We invite you to come in, relax, and enjoy. Luna Grill: Tuesdays. One free kids meal for child under 12 years of age with a purchase of an adult entrée after 4 p.m. 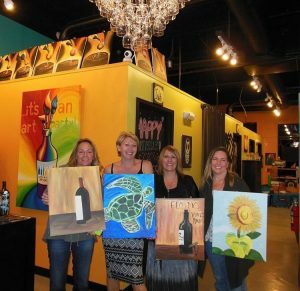 Bottle & Bottega Flower Mound: Uncork your inner artist at Bottle & Bottega Flower Mound, the wine and art entertainment studio that offers a fun, unique alternative to an ordinary night out. Z Grill and Tap: Flower Mound’s choice for Hi-Definition sports and great American cuisine. Rockin’ S Bar and Grill: Located on Lake Grapevine, this hot spot offers lakeside dining, live entertainment and a full service sports bar as well as restaurant area for the whole family. The Point After North: Sports bar and grill featuring an annual charity golf tournament, open mic and karaoke nights, poker nights and live music. Moviehouse & Eatery: Featuring plush recliners that allow you to kick back and relax while enjoying your movie on a wall-to-wall screen and full-service kitchen and bar with a chef-prepared menu to order off of, the Moviehouse & Eatery makes the movies better. Flower Mound Concert Series: Free concerts held every Friday in May at The Heritage Park of Flower Mound, featuring a variety of family-friendly, live music for all to enjoy. Lakeside DFW Concert Series: Free concerts held every Friday from June – July at The Shops at Lakeside DFW of Flower Mound, featuring a variety of family-friendly, live music for all to enjoy. Flower Mound Performing Arts Theatre: A professional, non-profit organization whose productions present new, diverse, and classic theatre; raise awareness of important issues through performance; and foster the educational development of future artists. The Shops at Lakeside DFW: Featuring an array of restaurants and shops for your dining and shopping pleasure in this unique new development, as well as local businesses at your service. Art House Flower Mound: Studio Art House students learn by creating original works of art. Instructors strive to inspire creative expression and artistic development in every student. Activate Utilities: Provided by 2TurnItOn, Inc. and does not constitute all utility providers available to residents. For more information, please contact 2TurnItOn, Inc. at 972-398-1562. External Utilities: External utilities are services provided by organizations other than the Town of Flower Mound including gas, electricity, phone, and cable television. The Town of Flower Mound provides water, wastewater, trash, and recycling services. For more information, call 972-874-6010. Toll Tags: Stop by the Utility Billing counter at Town Hall, 2121 Cross Timbers Road, and use the simple, easy system to obtain your new toll tag.